Anyone can pour some oil into a pan and cook. But choosing the right cooking oil can mean a difference between a tasty, nutritious meal, and a smoke alarm going off over your burnt food. Depending on whether you plan to bake, broil, grill, fry, deep-fry, or roast, different cooking oils will produce different results. Now, I’m not suggesting that you go out and buy a dozen different cooking oils, but you might benefit from having more than just one in your kitchen for sure. So what should you consider? The best oils for cooking are those that remain stable even under high temperatures. Stability depends on how easily the cooking oils oxidize; that is, how easily they react with oxygen to form free radicals. The most important factor in determining oil’s resistance to oxidation is the relative degree of saturation of the fatty acids in it. Let me explain. Monounsaturated fatty acids miss two hydrogen atoms and have one double bond between their two carbons instead. Since monounsaturated fatty acids aren’t densely packed, they can’t be exposed to such high heat as saturated fatty acids. 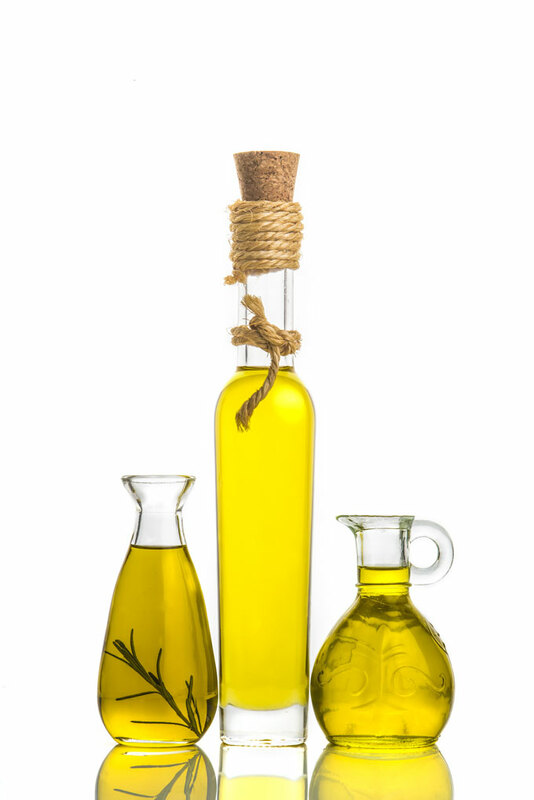 Monounsaturated fatty acids can be found in olive oil, avocado oil, and nut oils. Polyunsaturated fatty acids miss several hydrogen atoms and have two or more double bonds. 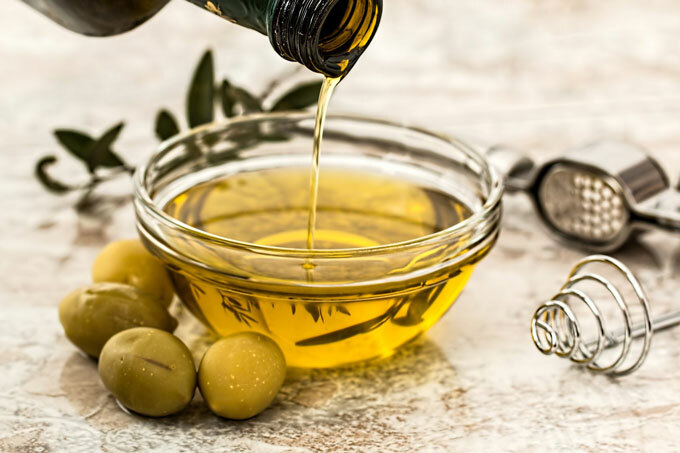 Try to stay away from oils with lots of polyunsaturated fats, such as canola (rapeseed) oil, corn oil, cottonseed oil, grapeseed oil, rice bran oil, safflower oil, sunflower oil, and soy oil. These are very unstable and produce high levels of free radicals when heated. The ideal situation is less total PUFA with lower ratio of omega-6 to omega-3. The smoke point is literally the temperature at which the oil stops simmering and starts smoking. The more stable the oil, the higher its smoke point is. When oil is heated past its smoke point, it decomposes – it loses its beneficial nutrients, generates toxic fumes, and creates harmful free radicals. Also, when there’s smoke, it means the oil is very close to its “flash point” – the point at which it may catch on fire. As you might have guessed, smoke point and stability go hand in hand. Since polyunsaturated fats are very unstable, manufacturers use industrial-level refinement processes to produce polyunsaturated fats with a high smoke point. There are two different types of oils: unrefined and refined. Unrefined cooking oils occur exactly as they do in their plant form. They are mechanically extracted from their oily parts through crushing and pressing and then left in their virgin state. This extraction process preserves their high flavor and nutrients, making them a healthier choice. If the extraction occurs in uncontrolled temperature conditions (along with heat born from friction created during the pressing), the oil is expeller-pressed. If the temperature is made steady below 80-90°F (26-32°C), the oil is cold-pressed – that is, expeller-pressed in cooler temperatures. Cold-pressing retains the most aroma, color, flavor, and nutrients. Unfortunately, unrefined cooking oils (and their nutrients) don’t play well with heat. They tend to have a low smoke point and are most suitable for drizzling, dressings, and lower temperature cooking. Another disadvantage of unrefined oils is their short shelf-life. As a result, many of them aren’t even available for purchase in their unrefined form. Crushing the seeds and heating them in a steam bath. Putting the seeds through a high volume press which uses high heat and friction to press the oil form the seed pulp. Bathing the seeds in a hexane solvent bath and then steaming them again to squeeze out more oil. (Note: hexane is produced by the refining of crude petroleum oil). Putting the seed/oil mixture through a centrifuge and adding phosphate to begin the separation of the oil and seed residues. Refining the crude vegetable oil, including degumming, neutralizing, and bleaching. Doesn’t sound too healthy, does it? The number one reason manufacturers refine oils is to produce neutral flavor, longer shelf-life, and a high smoke point. If you need oil for a higher-heat cooking or oil that doesn’t have a strong flavor, look for naturally refined cooking oils, using lower temperature and natural agents like citric acid. Refined coconut oil is one of the best. Some of the most commonly hydrogenated oils include corn, cottonseed, safflower, and soy. But theoretically, almost any polyunsaturated oil can be hydrogenated. This section only applies to olive oil. If you’ve ever shopped for olive oil, you’ve most likely been greeted with an array of choices. Extra-virgin olive oil is an unrefined olive oil and the highest quality oil you can buy. There are very specific standards olive oil has to meet in order to deserve the label “extra-virgin”. It contains no more than 1% of oleic acid and typically has a golden-green color and a true olive taste. Virgin olive oil is also unrefined and comes after extra-virgin olive oil in terms of quality. Virgin olive oil has a slightly higher level of oleic acid, lighter color, and less intense flavor. Pure (regular) olive oil is usually a blend of virgin olive oil and refined olive oil. It’s a lower-quality oil with oleic acid between 3-4%, lighter color, and mild flavor. The quality of the original raw ingredients (nuts, seeds, grains, legumes, fruit) is crucial in determining the eventual quality of the fat. Organic oils are much better than their non-organic counterparts. The reason is that pesticides are fat-soluble and accumulate in plant’s fatty acids. And since oils are very concentrated, pesticides and other environmental toxins pack more punch in a small amount. Another benefit of the “organic” label is that organic equals non-genetically modified. The most commonly genetically modified plants include canola, corn, cottonseed, and soybean. The worst type of dietary fat is trans fat. Avoid it whenever possible. 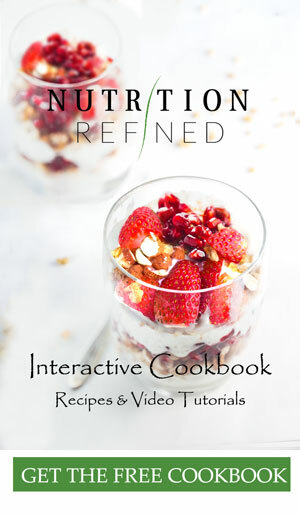 Monounsaturated fats are among the most healthful fats. Recent studies have also found virgin coconut oil to have many positive health benefits. While coconut oil is made of 90% saturated fat, half of it is lauric acid, which has a number of health-promoting properties. Unrefined oils are superior to refined oils. Naturally refined oils are better than industrially refined oils. Organic oils are rank higher in quality than their non-organic counterparts. It got me when you said that a person needs to consider a refined oil if they will use it for higher-heat cooking or they want an oil that does not have a strong flavor. If so, then my mom was right when she suggested the use of pecan oil for my dish as I do not like strong flavors. Pecan oil is made out of seeds, so I am sure it is considered a refined oil. I will look for one as soon as I can.